This project was created by me, Živilė aka @zivilesukyte on Twitter, to support those in need for clean water. We all know that Echelon is always willing to help people in need and I hope we will be able to do this! It is NOT required to donate, but any donation would be highly appreciated! 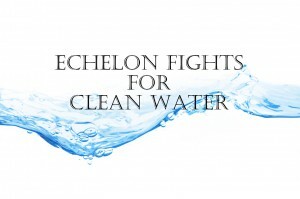 So if you can - donate, if no - send me picture of you with words "Echelon Fights For Clean Water" address [email protected] It would be great if you wouldn't use any computer programs and would make it by yourself! Add your Twitter/real name + country! If you donated: Please let me know about it in e-mail. Add your Twitter or/and real name, amount of money you've donated + country, please. 01/24/14 Karen Mills $23.00 Great cause. Happy to help. 01/21/14 @Rob__Cosby $20.00 Very worthwhile cause. I'm happy to be involved with the Echelon on this one. 01/21/14 Melanie Stehling $10.00 It's not very much, I know, but I hope it helps. 12/15/13 Josie Maerz $25.00 I am happy to be a part of this very special project. Thank you very much for giving us the opportunity to help others in need. Merry Christmas! 12/07/13 Katie McGrainor $23.00 This is an amazing echelon project, so glad I can contribute to the cause. 11/28/13 Maike Engel $46.00 Your project is a very great one! GO ahead! Thanks. 11/27/13 Karen Mills $46.00 I am very proud of everyone donating - every little bit helps. 11/19/13 Sabina Muminovic $23.00 Great cause Å½ivilÄ, thank you for caring! 11/17/13 Tomo Milicevic $115.00 Go Echelon! 07/02/13 Joshua Shellard $46.00 Very happy to be part of such a wonderful project and community that is genuinely dedicated to improving the lives of humans in such countries. I love watching this family give something so special. 07/01/13 Audrey Bryce $27.00 This is an amazing project and I feel proud to be part of it!